The movie Selma reminds us that white clergy protested and marched with Martin Luther King Jr. and other African Americans in the 1960s on behalf of Civil Rights. But it also reminds us—as Anthony Bradley recently observed—that many of those clergy were from the North and were Protestant mainliners, Greek Orthodox, Jewish, and Roman Catholic. One has to wonder: where were the conservative evangelicals? I recently posed the following questions to several historians who have studied segregation and religion in the Southern United States during the years of Jim Crow and during the Civil Rights Movement. Did white evangelicals in the South respond to the Civil Rights Movement in different ways from their counterparts in other parts of the United States? Is it fair to say that the majority not only refused to engage but actively opposed it? If so, what historical forces formed their particular responses and attitudes? How did evangelical theologies form or undermine their engagement? I will be posting the historians’ answers at this blog throughout the week. 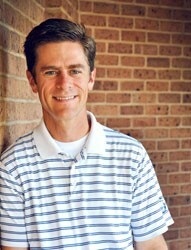 The first respondent was Matt Hall of Southern Seminary. Today I’m pleased to welcome to this forum Sean Michael Lucas (PhD, Westminster Theological Seminary), who is an associate professor of church history at Reformed Theological Seminary in Jackson, MS, and the senior minister of the historic First Presbyterian Church, Hattiesburg, MS. He is the author of Robert Lewis Dabney: A Southern Presbyterian Life and the forthcoming For a Continuing Church: The Roots of the Presbyterian Church in America. While it is the case that conservatives in the old Presbyterian Church in the United States (PCUS, often called “the Southern Presbyterian Church”), taken as a group, opposed the Civil Rights movement, the story is a little bit more complex than that in two ways. First, there were different positions on how to think about racial integration; and, second, there was also change over time for the movement as a whole. That there would be differing positions on the most explosive issue to face the American South is not surprising. What perhaps is surprising is that these differing positions are reflected in a generally conservative religious and political subset. W. A. 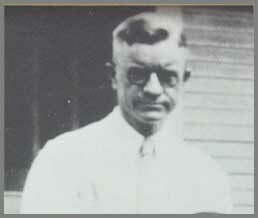 Gamble, stated clerk of Central Mississippi Presbytery, represented hardline racial intransigence. Featured in Citizen’s Council events in the Jackson area, Gamble frequently defended Jim Crow laws, warning that “it cannot be forgotten that the removal of segregation laws, and the consequent mingling of the races more and more, will inevitably result in miscegenation.” He also held that those who opposed “segregation by law” would be complicit “in developing a mongrel population, a development I believe God disapproves.” Racial traditionalists like Gamble tried to frame their defense of segregation in theological terms, appealing especially to Acts 17:26; however, their most powerful arguments were emotional, playing on white fears of mixed race marriages. While Gamble’s position was likely held by a wide number of southern Presbyterian conservatives, there were other positions. 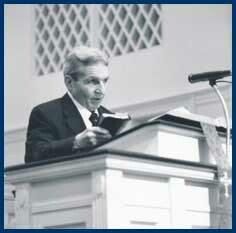 L. Nelson Bell, the long-time associate editor of the Presbyterian Journal and founder of Christianity Today, held what was viewed to be a moderate position. 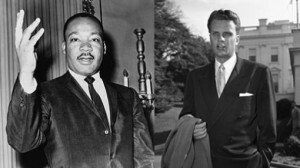 On the one hand, “forced segregation is un-Christian because it denies the rights which are inherent in American citizenship.” In addition, as Bell’s son-in-law Billy Graham demonstrated, the Gospel needed to be preached “to all on an unsegregated basis.” To demand continued legal segregation would undercut the preaching of the Gospel in America and abroad. On the other hand, though, forced integration opened the door to the possibility of race mixing that was unthinkable. Better to do away with the legal barriers for blacks’ participation in American society, but then let Christian love and prudence take its natural course. There were still others, and especially among the younger generation who would take PCUS pulpits in the 1960s, who believed that segregation in society and church was repugnant to the Gospel and that the church should work toward modeling an integrated community. 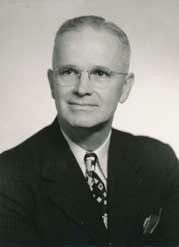 Bill Hill, who pastored West End Presbyterian Church and First Presbyterian Church in Hopewell, Virginia, simultaneously, worked toward racially inclusive meetings, especially in his evangelistic work during the 1940s and 1950s. In many ways ahead of his time, Hill modeled the same race-blind evangelistic imperative as Billy Graham. Likewise, Donald Patterson, James Baird, and Kennedy Smartt—all members of the steering community that would birth the Presbyterian Church in America (PCA) in 1973—all worked toward racial inclusion in their respective ministries. These PCA founders, along with Frank Barker and D. James Kennedy, made it plain that the continuing Presbyterian church would not be a “white man’s church” nor stand for racial solidarity. Like Hill and Graham, these founders believed that the Gospel should produce a racially inclusive church. This last group represents the second point: that there was change over time on the racial issue for these southern Presbyterian conservatives. While there were very few southern Presbyterian conservative voices in the 1940s urging racial inclusion, by the late 1960s, it was unthinkable to most young conservative leaders that the church would remain racially separated. The question to ask is why: why were the larger theological and cultural arguments for continued racial segregation unpersuasive to the younger leaders who would form the PCA? I think the answer comes back to Billy Graham. For southern Presbyterians, Graham represented what they most wanted for their church: a thorough commitment to the Bible as the inerrant Word of God, a gentle and winsome evangelical theology, and a determined zeal for evangelism and missions. When Graham determined in 1952-53 that he could no longer preach the Gospel to segregated meetings because that would represent a betrayal of the Gospel itself, younger southern Presbyterian conservatives nodded their heads in agreement. They too would work toward preaching the Gospel to all men and women regardless of race because the Good News was for all. But Graham also modeled their thoughts on cultural engagement. Committed to the “spiritual mission of the church,” even these younger southern Presbyterians believed that the way to effect cultural change was through preaching the Gospel. Graham’s crusades brought such social effects, not because he preached a “Social Gospel,” but because he preached the true Gospel—and changed men and women brought about a changed society. By preaching the Gospel to racially inclusive groups like Billy Graham did, southern Presbyterian conservatives hoped that the Gospel itself would produce the “beloved community” that they too wanted for their country. They longed to see an America that reflected the Gospel itself. Of course, that does not mean that the founders of the PCA or their sons and now grandsons have seen that sort of transformation. Far from it—our own theological beliefs have still been trumped far too often by other deeper-seated commitments to race, class, or region. However, from a historical perspective, this explains why I believe that the PCA—the continuing, conservative mainline successor to the PCUS—must continue to work toward racial reconciliation and inclusion that the Gospel itself demands. Editors’ note: The 2015 Ethics and Religious Liberty Commission Leadership Summit, sponsored by The Gospel Coalition, will address “The Gospel and Racial Reconciliation” to equip Christians to apply the gospel on these issues with convictional kindness in their communities, their families, and their churches. This event will be held in Nashville on March 26 and 27, 2015. To learn more go here. Save 20 percent when you use the code TGC20.